These U.S. States Charge Electric Car Fees To Make Up For Lost Gas Tax Revenue product 2015-12-12 21:00:41 https://insideevs.com/news/328830/these-us-states-charge-electric-car-fees-to-make-up-for-lost-gas-tax-revenue/ General, taxes, u.s. 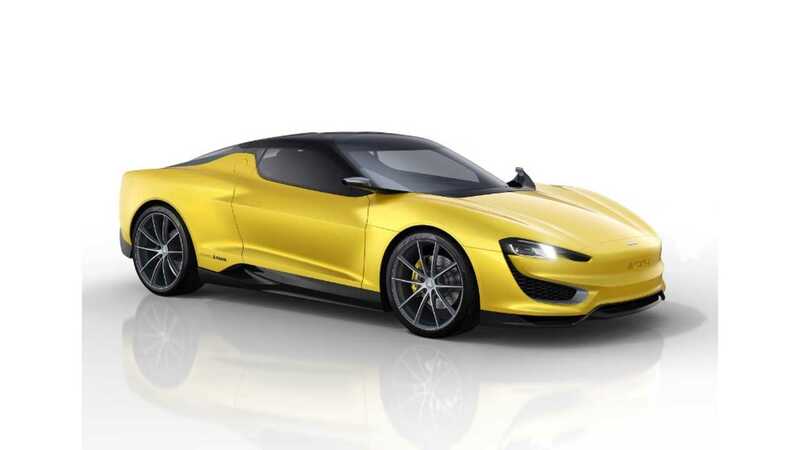 The topic of electric car contribution to the upkeep of roadways is back at the US Department of Energy’s Office of Energy Efficiency and Renewable Energy (EERE) website. 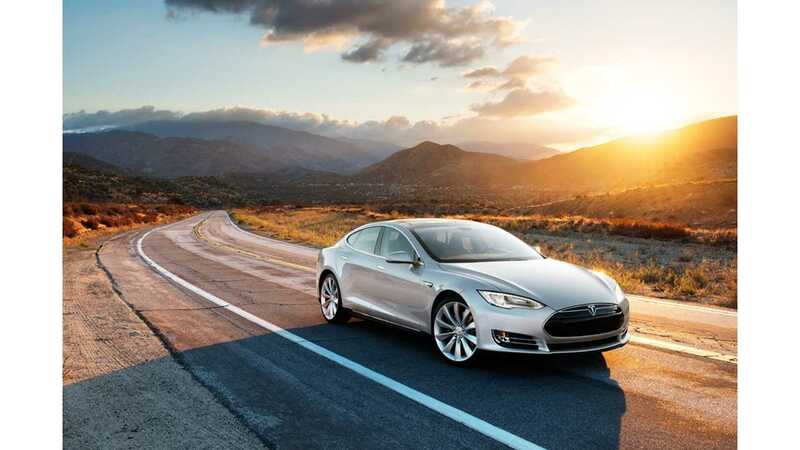 The site lists 11 states that introduced EV fees for the purpose of maintaining roads. Taxes are inevitable in the longer term, and seem to be approaching from multiple sides. Some of those 11 states already split the fees for different versions of the plug-in cars or even include hybrid models. Annual fees in those 11 states vary from $43 to $300, but most are up to $100. "The maintenance of our highways has traditionally been funded from a combination of Federal and state taxes collected at the pump from the sale of motor fuels. Because electric vehicles (EVs) do not refuel at pumps that collect state and Federal fuel taxes, they do not contribute to the upkeep of the highways. This has caused many states to rethink how funds are collected to support the highway infrastructure. Eleven states currently assess fees on electric vehicle owners in lieu of traditional fuel taxes. Georgia has the highest annual fee of the states that have currently enacted fees for electric vehicles. Commercial and noncommercial plug-in electric vehicles (PEV) have different fees in Georgia. 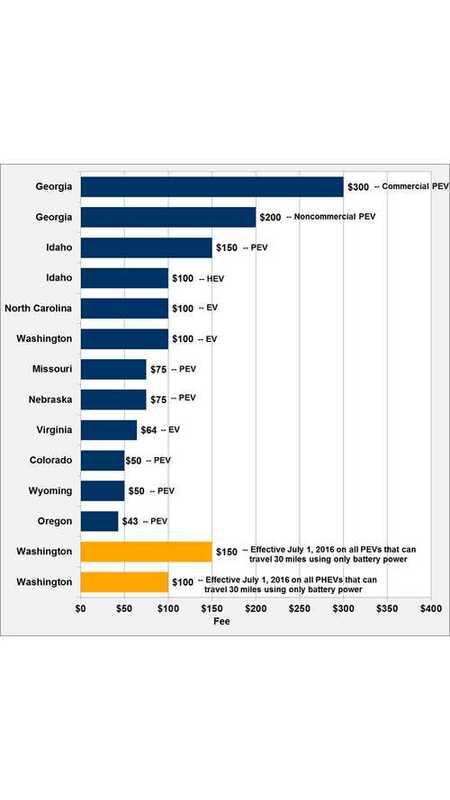 Idaho is the only state that has a fee for conventional hybrid electric vehicles (without a plug). Washington State has enacted new fees that will become effective July 1, 2016."